Whilst not everybody knows exactly what it is or what it does (and quite a few people haven’t even heard of it at all!) the alternator is actually one of the most important parts in any car; and, without it, absolutely none of it car’s electrical systems can function. If your car’s battery has run flat, it doesn’t necessarily mean that there’s something wrong with the battery itself: it could be the alternator that is actually to blame. 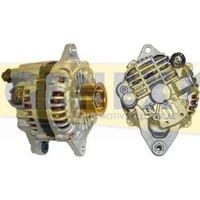 If it does turn out to be the alternator that requires replacing, you’ll be pleased to know that you can purchase a top quality, affordable Ford alternator here at Cars R Us. But first: what exactly is an alternator, and what function does it perform in the vehicle? 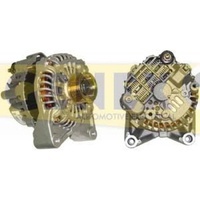 Essentially, the alternator’s job is to convert the mechanical energy produced by your car’s engine into electrical energy which can then be stored in the battery and used to power the vehicle’s electrical systems as and when they’re switched on. This is why, when the alternator breaks, your car’s battery will slowly start to run flat – it should be being recharged by the alternator, and it isn’t being. In order to catch a problem with your alternator early, you should always listen out for a faint squealing sound, take note of any pulsing from your headlights and, of course, be aware if the battery warning light comes on. Unfortunately, these signs aren’t always consistent and many people miss them anyway – meaning that they don’t know they’ve got a problem until, one day, they try to start up their car’s battery and nothing at all happens. If this has happened to you, don’t panic: here at Cars R Us, we know just how quickly things can get extremely stressful and inconvenient when you’re unable to use your car, so we’ve built a pioneering online service that guarantees that the parts you need are never far away. 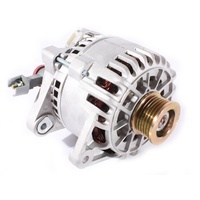 If you need a new Ford Transit alternator, simply browse the intuitive e-store on our website and you’ll be bound to find we have just what you need in stock and available at a totally affordable price. All you need to do is fill out your payment details and place your order, and we’ll ensure that it is promptly dispatched from our premises here on Queensland’s Sunshine Coast. It’ll be delivered directly to your front door as quickly as possible, regardless of wherever you happen to live in Australia. And furthermore, the delivery service comes completely free of charge. With this straightforward, affordable service, you’ll never again have to worry about journeying from garage to garage in search of the part you need. So order your Ford Ranger alternator online today and see for yourself why we’re one of Australia’s most trusted car parts specialists. Alternatively, just get in touch with a member of our friendly and professional team if you’re interested in finding out any more information about any of the products we sell or the services we offer.